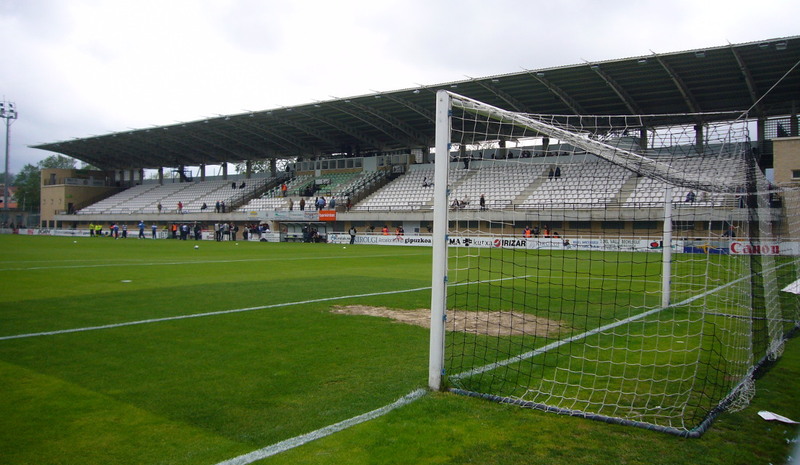 Stadium Gal got built in the 1920s when Real Union was one of Spain’s leading sides. It officially opened on 19 September 1926 with a friendly versus Barcelona. The stadium had a distinct English influence with one covered main stand and open terraces on the other sides. The stadium changed shape in the 1950s when a cycling track got built around the pitch, but otherwise changed little until the 1990s. In 1997, the club embarked on a large redevelopment program which included the construction of new covered seating stands on both sides and small terraces behind the goals. 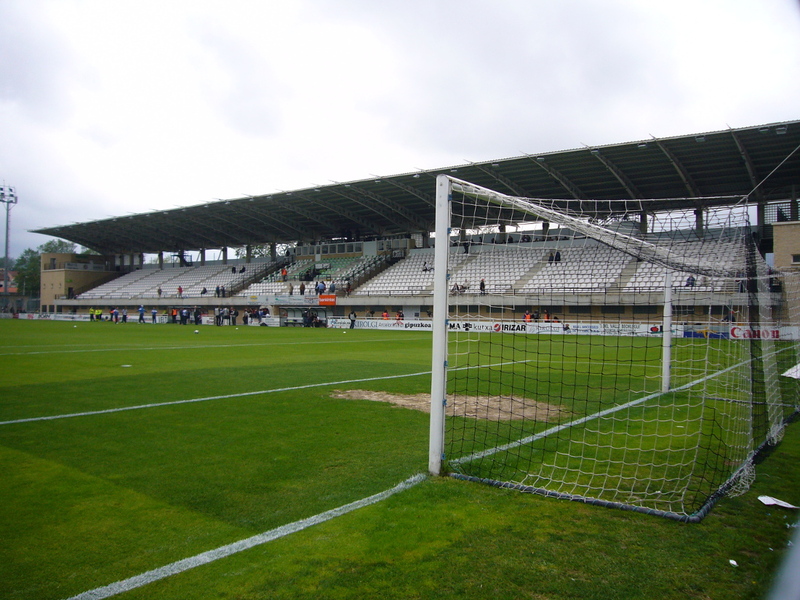 Stadio Gal is located in the north of the city of Irún close to the border with France at about a kilometre from Irun’s city centre. It is a 10-minute walk from Irun’s centre to the stadium and a few minutes more from Irun’s rail station. Train station Irun FICOBA lies closer to the stadium though, less than five minutes walking. Both stations can be reached with the Euskotren trains from San Sebastian. Take a train from Amara station to Hendaia. Trains run every 15 minutes to Irun and every 30 minutes to FICOBA. The journey takes just over half an hour. There are also a few regular Renfe trains a day that run between San Sebastian and Irun, both regional and long-distance ones, of which a few connect with Madrid. Real Union tickets can be bought at the ticket booths of Stadium Gal before the start of the match. Realunionclub.com – Official website of Real Union Club de Irun. Irun.org – Irun tourist information.